Japan, “The Land of the Rising Sun”, has a very rich culture, tradition and history, but there is another side of the Japan, a country known for its eccentricities, unusual attractions, fun and amazing cosplay and anime culture, and the newly opened Henn-na Hotel, one of the most unusual hotels in the world. Located in the city of Nagasaki, Henn-na was opened to the public in July 2015. Incorporating technology, highly efficient Japanese service and modern facilities, Henn-na Hotel is the world's first hotel to be staffed by humanoid robots! Located in a 380-acre waterfront theme park called Huis Ten Bosch, a mini-Netherlands, Henn-na Hotel is expected to lure more visitors with its unusual concept. The hotel and Huis Ten Bosch is about an hour away from the heart of the city. 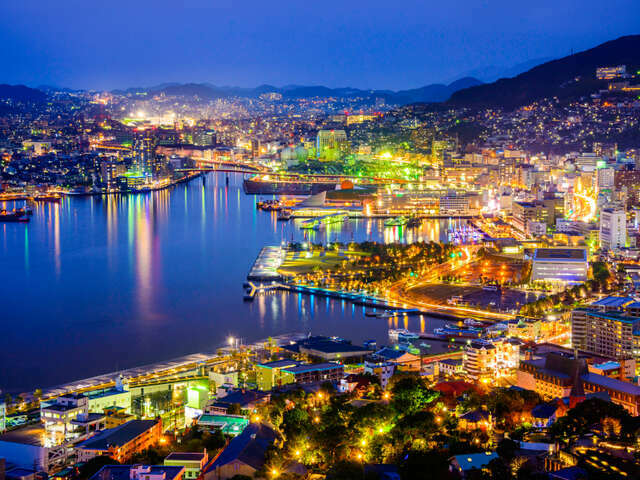 You can reach Nagasaki by sleeper trains from Tokyo, bus and regular train from Fukuoka. You can also fly into the Nagasaki Airport served by domestic carriers and a few international carriers. Nothing will prepare you with what you will encounter in Henn-na Hotel. Its staffs from the porters, receptionists, concierges, to cloakroom clerks are all humanoid robots! You might feel a little uneasy at first but once you exchange pleasantries with them, it’s as if you are just interacting with humans. Make friends with an English-speaking dinosaur robot, a bowing humanoid “lady” called Yumeko, or small cartoon-like robot called Churi-chan. Although the hotel does not have any elevator, it only has two floors. It has 72 rooms ranging from the standard, superior, and deluxe types. Its facilities and services include a Café Corner, Smart Kiosk, and an Amenity Store. If you want to revel in its superb technology, you can request for a facial authentication for unlocking your door. Another wing of the hotel is expected to open in March 2016. Book a room in Henn-na Hotel before people start flocking to Henn-na so they can relish a unique hotel experience. Consult your travel agent for more details.